If you’re looking for an easy way to use some fabric, a fun project you might not have considered is putting upholstery on room dividers. The photo above shows how stunning a room divider with fabric can be. And it’s easy! 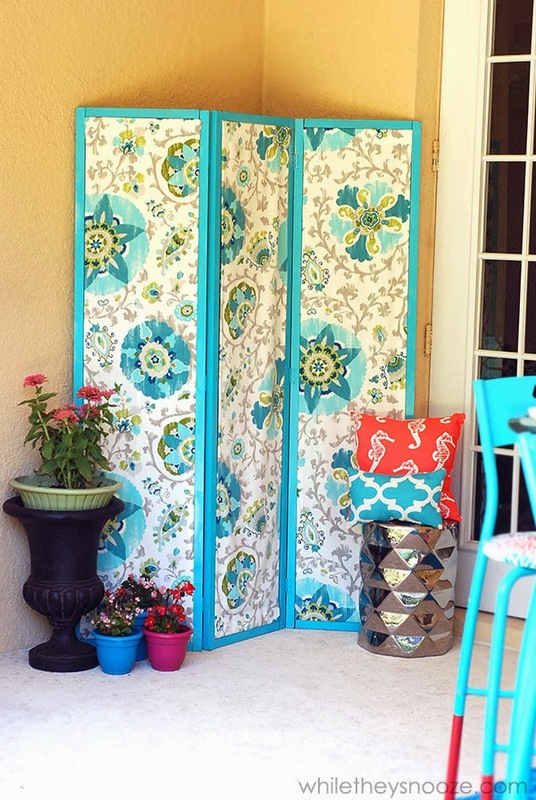 Learn how to make an upholstered room divider below. Start by procuring bifold doors. Depending on your space, you may need a few of them. You’ll want plain wooden ones. Measure some polyester batting and cut it to the shape of the door, leaving about an inch of door uncovered on each side for a cleaner edge. Use a staple gun to secure the edges of the batting to the door. Measure your fabric against the door, leaving a few inches of extra fabric at the edges. Attach the fabric using the staple gun just outside the batting. Cut away excess fabric that is overhanging. Place ribbon over the staples as a trim to hide those staples and add some design flair. You can also use fabric trim. You can use an iron-on adhesive tape or fabric glue for this step. If you use several doors, you’ll need to attach them together using metal door hinges.